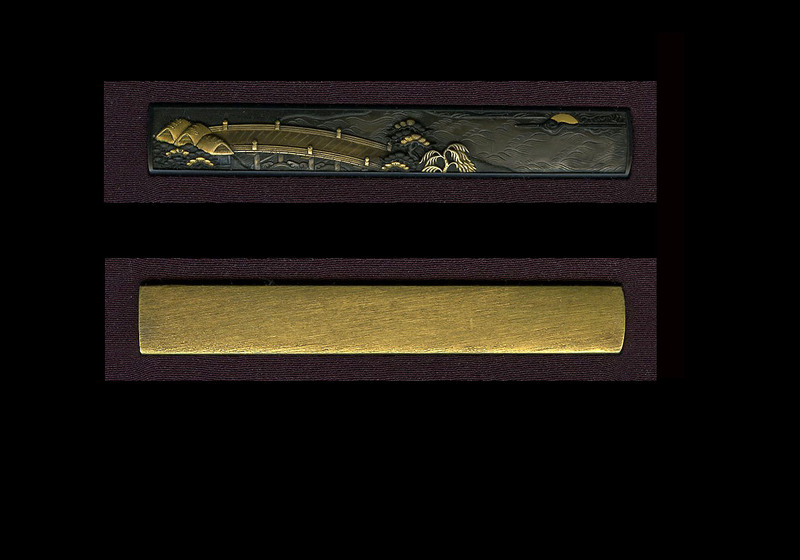 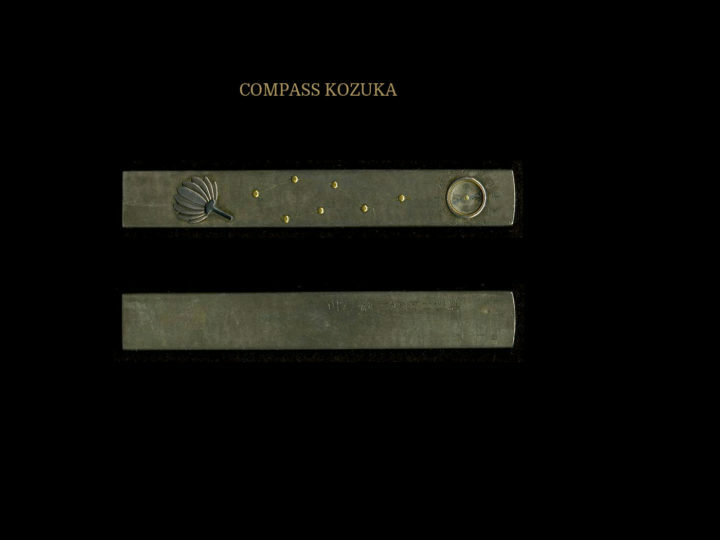 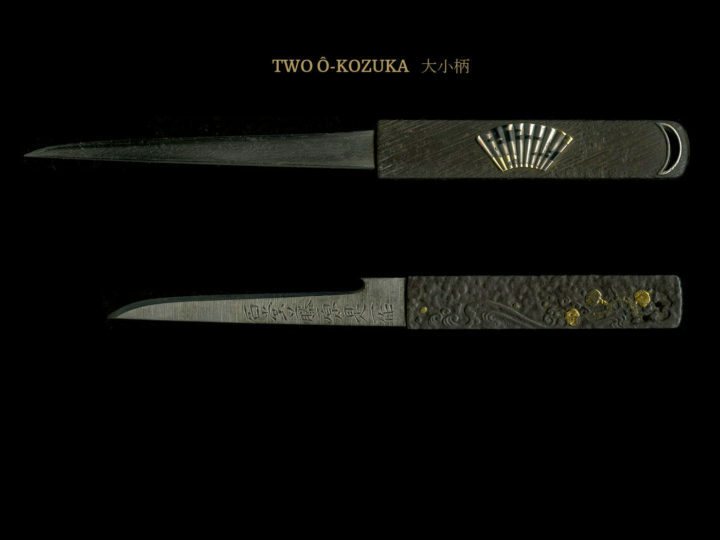 This is a very nice kozuka that has been attributed to the Kaga Goto school. 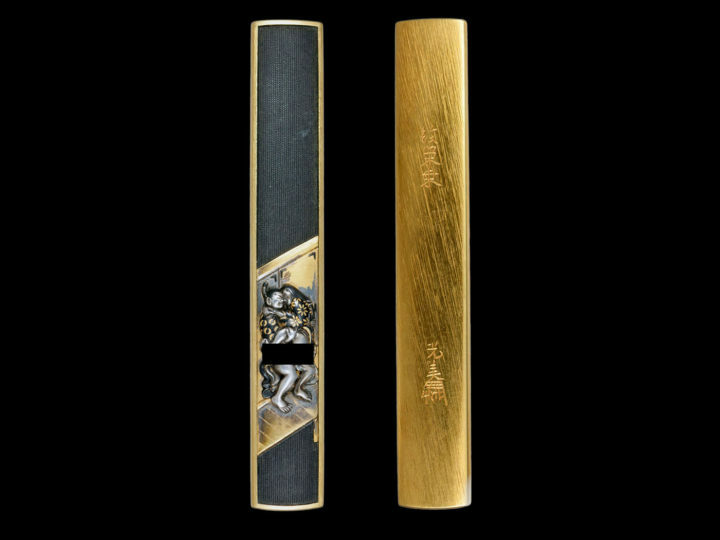 It is a superb example of workmanship containing extremely fine shakudo nanako work blended with golden thatched huts, a golden bridge spanning a fast-flowing river done in silver. 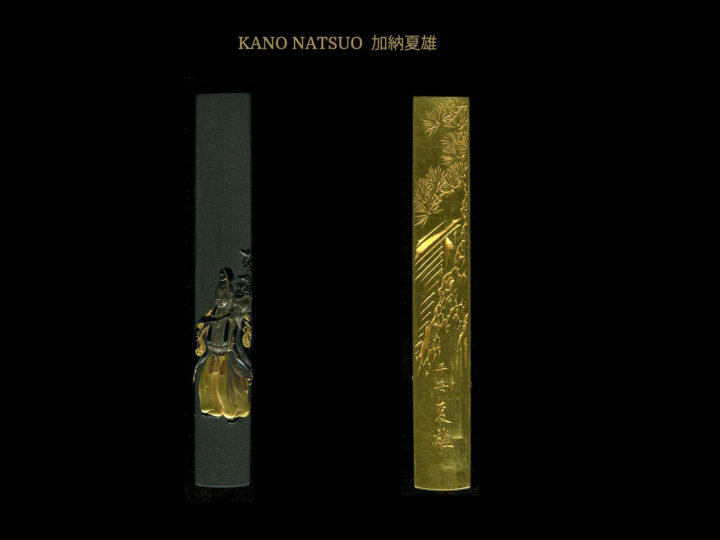 There are trees done in gold, shakudo, and silver together with a golden sun peeking out from behind some clouds. 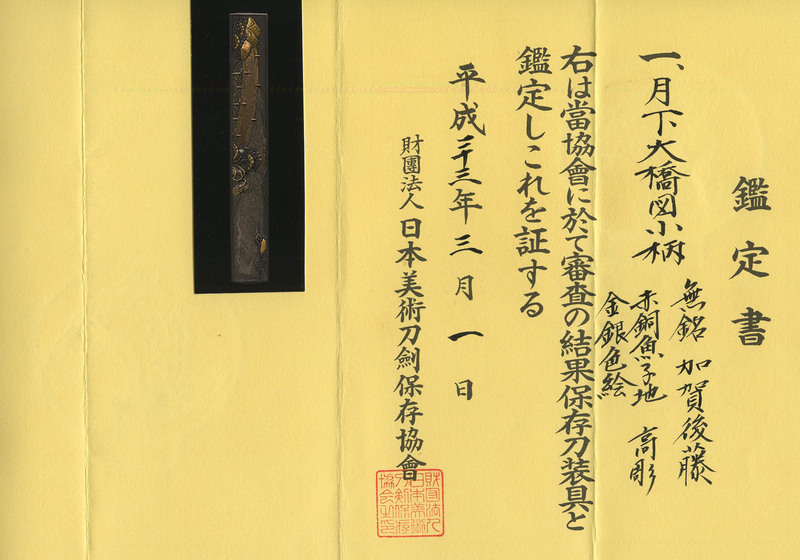 This is an excellent example of the work of the Goto school who served the famous Maeda family in Kanazawa during the Edo period. It comes in a fitted wooden box together with NBTHK Hozon papers attesting to the attribution and the quality of the piece.